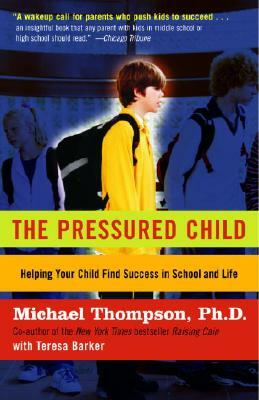 Michael Thompson, Ph.D., is a clinical psychologist, lecturer, consultant, and former seventh-grade teacher. He conducts workshops across the United States on social cruelty, children’s friendships, and boys’ development. With Catherine O’Neill Grace and Lawrence J. Cohen, Ph.D., he co-authored Best Friends, Worst Enemies: Understanding the Social Lives of Children and Mom, They’re Teasing Me: Helping Your Child Solve Social Problems. With Dan Kindlon, Ph.D., he co-authored the New York Times bestseller Raising Cain: Protecting the Emotional Life of Boys. He is also the author of Speaking of Boys: Answers to the Most-Asked Questions About Raising Sons. He lives in Arlington, Massachusetts. Teresa Barker, who collaborated with Thompson on Raising Cain and Speaking of Boys, is a journalist and mother of three school-age children. She lives in Wilmette, Illinois.